The Y is west of US Hwy 41 approximately 2 miles on the south side of 20th Ave. We are just west of Carl Traeger School. The 20th Ave Y is proud to offer our members & our community several one-of-a kind amenities to our area including: Aerobics Studios, 2 Full WIAA Basketball Courts or 4 cross-courts or 3 volleyball courts, 1/2 Court Family Gym, Indoor Climbing Center, Indoor Soccer Facility, Indoor Ice Arena, Full Service Wellness Center with cardio, strength training & free weight equipment, Drop In Babysitting, Family Prime Time, Group Exercise Classes, Licensed Child Care Center, Locker Rooms including a Family Locker Room, Elevated Running/Walking Track, Sauna, Steamroom & Whirlpool, 4 Multi-Purpose Rooms, Towel Service, & Pickleball. 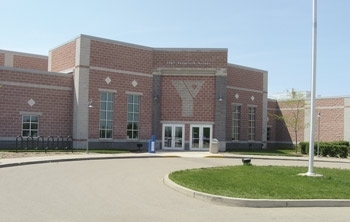 The Y offers excellent facilities for all of its members. We strive for a clean, safe environment and take pride in providing state-of-the-art and well-maintained equipment. Tours of our facilities are available during hours of operation. No appointment is necessary. Click HERE for Hours & Schedules.